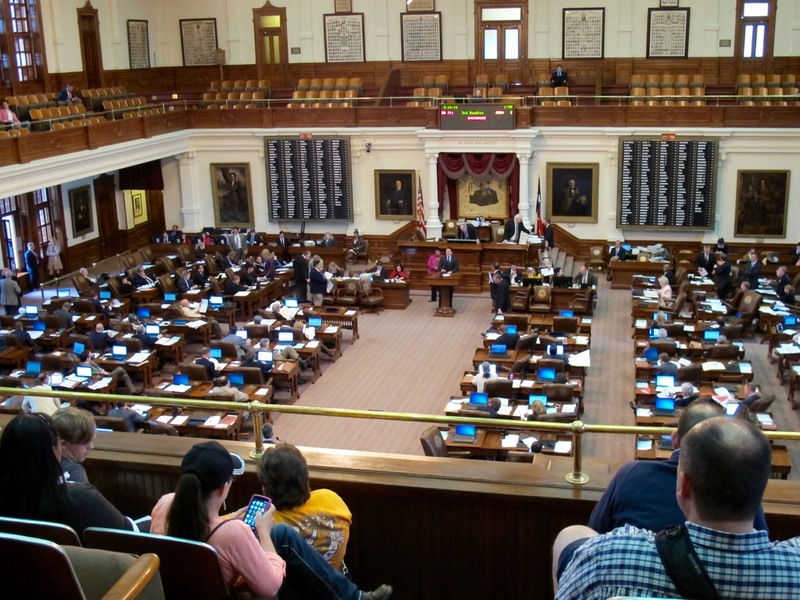 As I was listening to the tour guide in the Texas State Capitol talk about the state's history, once being its own country with its own currency, I wondered if some people hadn't gotten the memo that Texas had in fact joined the union back in 1845. Sure, there's a slight twang in some peoples' voices, but it's more than that. 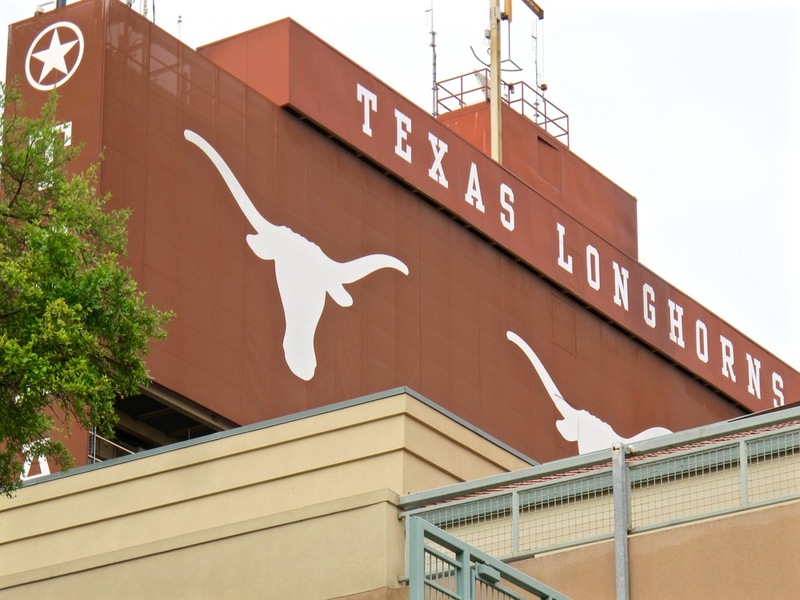 Texas pride is rampant in Austin from the ironic T-shirts to the iconic longhorn symbol seen everywhere from the University of Texas campus street signs to the back of cars. After spending my first weekend in Austin, I did not walk away with Lone Star State earrings dangling from my ears, but I did get a new appreciation for the city, which I'd actually call Texas-lite since I didn't see tons of belt buckles or cowboy hats, and that might have been a good thing. 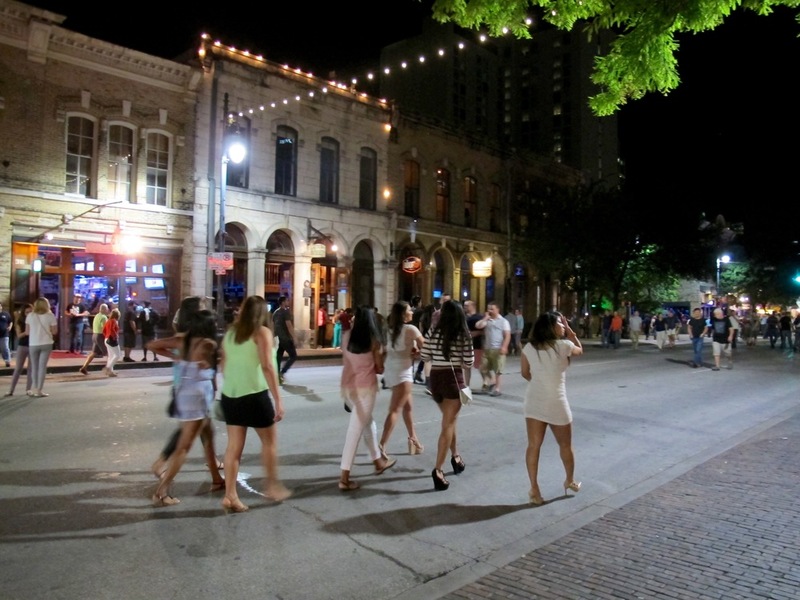 Here's how I saw, and might recommend, seeing Austin in a weekend. As soon as I walked off the airplane at Austin Bergstrom International Airport, I knew things were going to be different. People were moving to the gates with suitcases in one hand and cold (open) beer in the other. Live music was playing on a stage near security, with people drinking and listening as if in a bar in the middle of the city. I had some time to kill before my friend Stephanie flew in to meet me, so when in Austin, I strapped in and began my barbecue tasting. 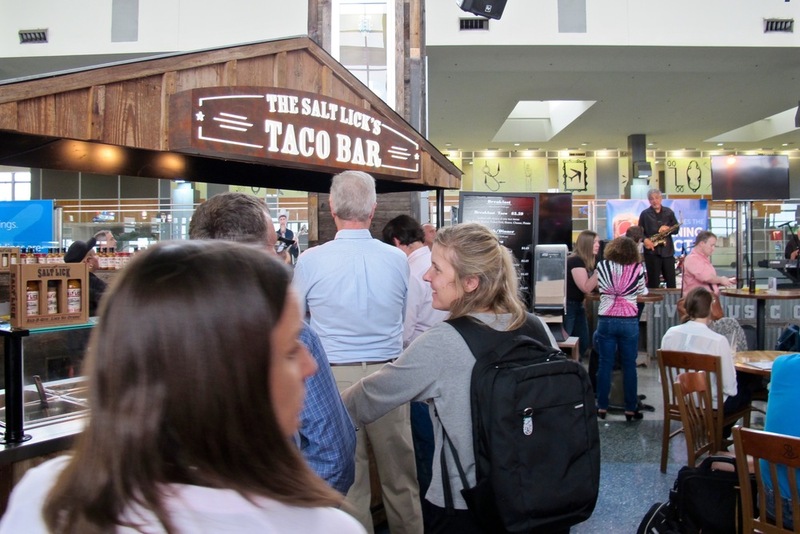 The Salt Lick has a fun outdoor party space, slightly out of town, that we weren't going to have time to visit, so I figured I'd sample it at the airport. I hit their taco stand and tried the carne guisa, a beautiful beer braised beef that made me wonder if we needed to leave the airport all weekend, but there was more to see...and eat of course. The Capitol is a beacon throughout the city, standing at the top of Congress Avenue and viewable from most places around town. 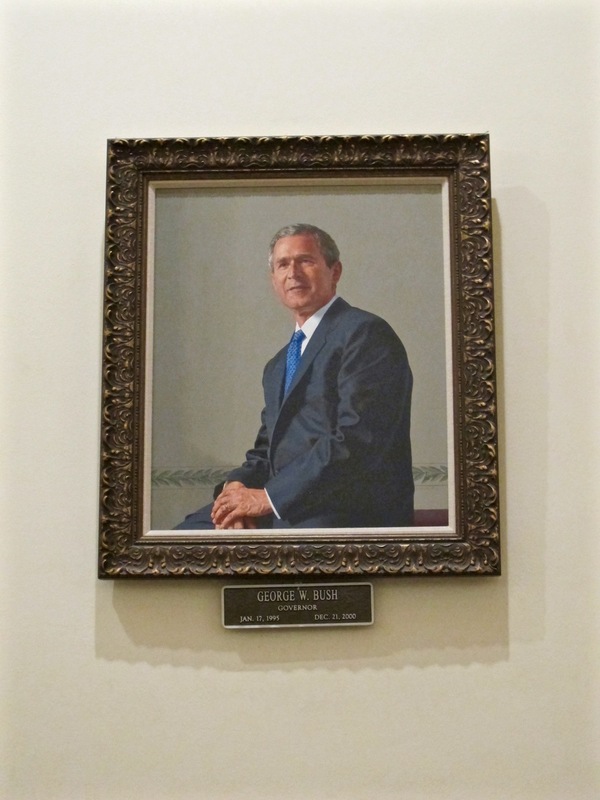 Free tours are offered of the building, and provide a nice walk around the enormous building, the largest Capitol in the country in fact. They have a thing about size in Texas, and our guide was also quick to point out that the Texas Capitol is actually 14' higher than the D.C. Capitol. So take that. You can also wander in and out of legislative sessions depending on the timing of your visit, which is fun to see and watch the voting light up the electronic tabulation boards. I visited Austin in the middle of 10 days of rain and thunderstorms, so outdoor activities were slightly limited. There's a nice walking path all around Lady Bird Lake, which isn't a lake at all. It's technically a reservoir on the Colorado River. When it's warm, which is most days (the humidity is killer), there are kayakers and rowers on the water with others biking and jogging around the perimeter. Yeah, bats. Spring through fall, over a million Mexican bats take up residence under Austin's Congress Avenue bridge. They usually fly out en masse around dusk in search of food, so if you want to see and hear crazy squeaking, hang out under the Four Seasons with a bottle of wine. We were too busy eating and drinking in animal-free zones to catch them, but we did hear and smell them during the day. 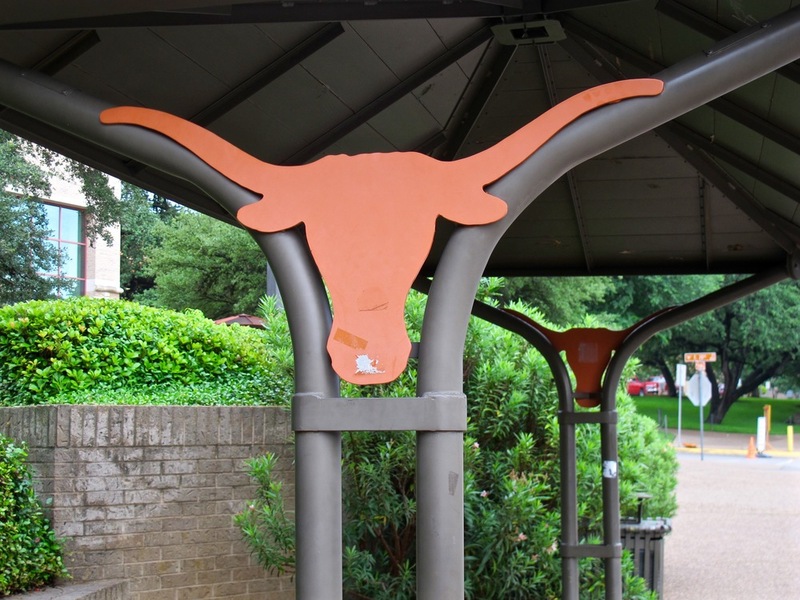 You can run, but you definitely can't hide from UT. The campus is just north of the Capitol, but you see and feel it everywhere. I can only imagine how crazy it is on game day. 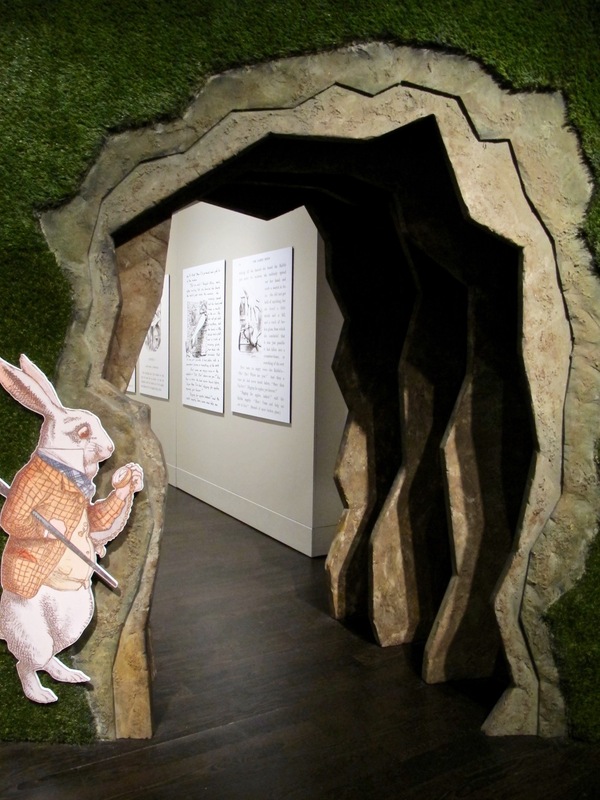 We took advantage of UT's great free museum at the Harry Ransom Center that was showing a well-curated Alice in Wonderland exhibit. 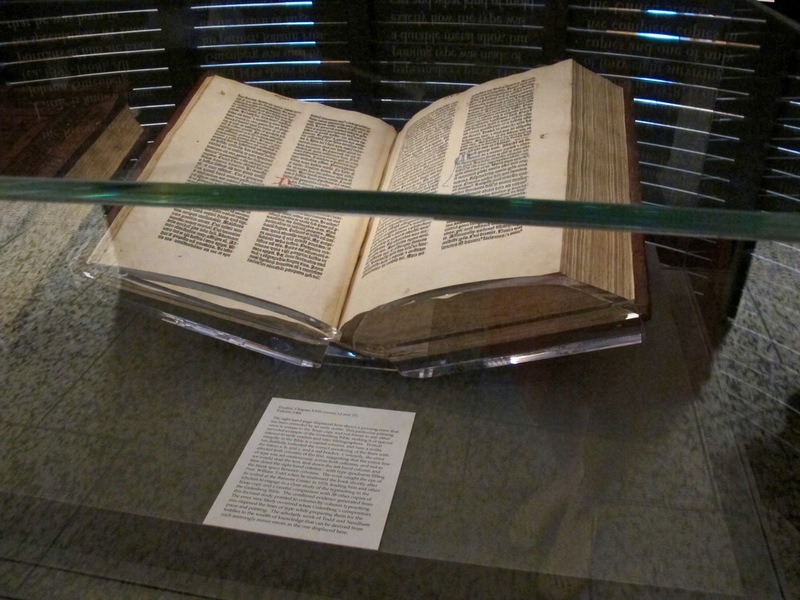 We even got a free tour by a local docent who talked about the exhibit, as well as one of their prized possessions, a copy of The Gutenberg Bible. 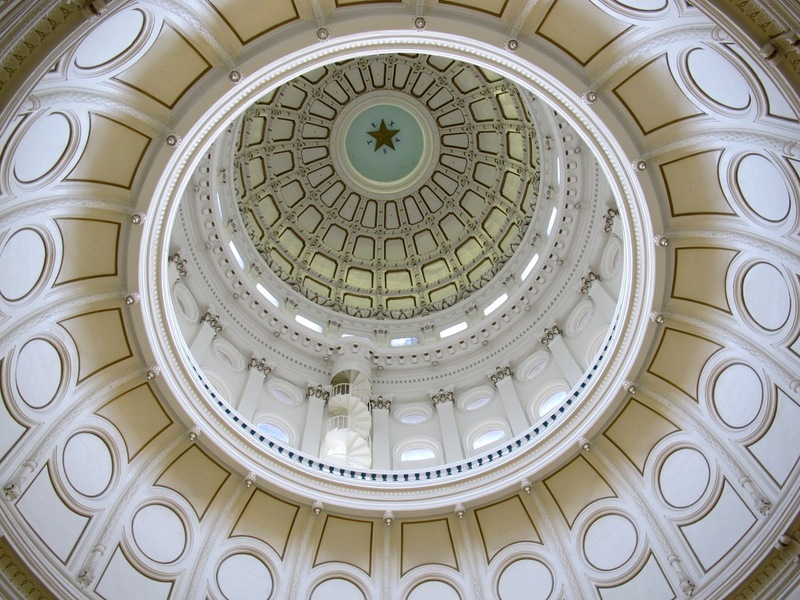 If you need more museum time, hit up the Texas State History Museum to dive deeper into the roots of the state. 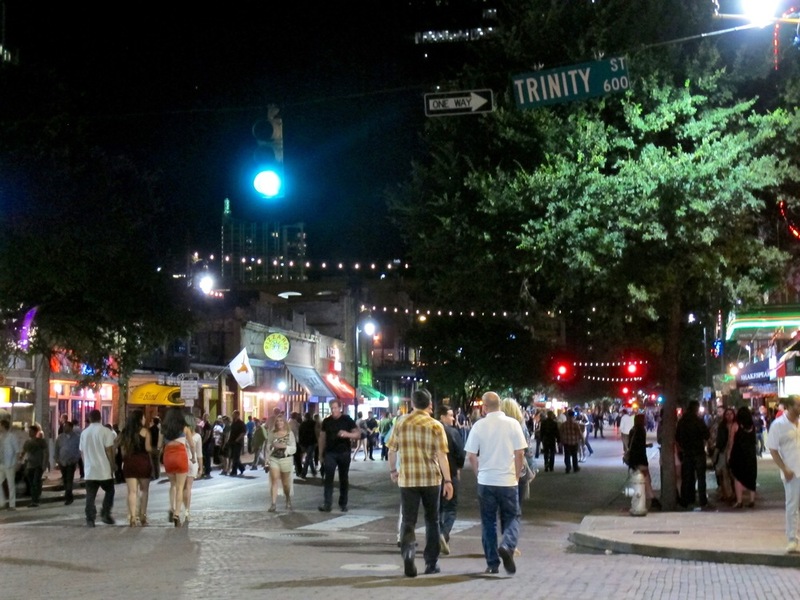 SoCo, or South Congress Avenue, is a funky collection of shops, antiques, restaurants and basically great people watching. 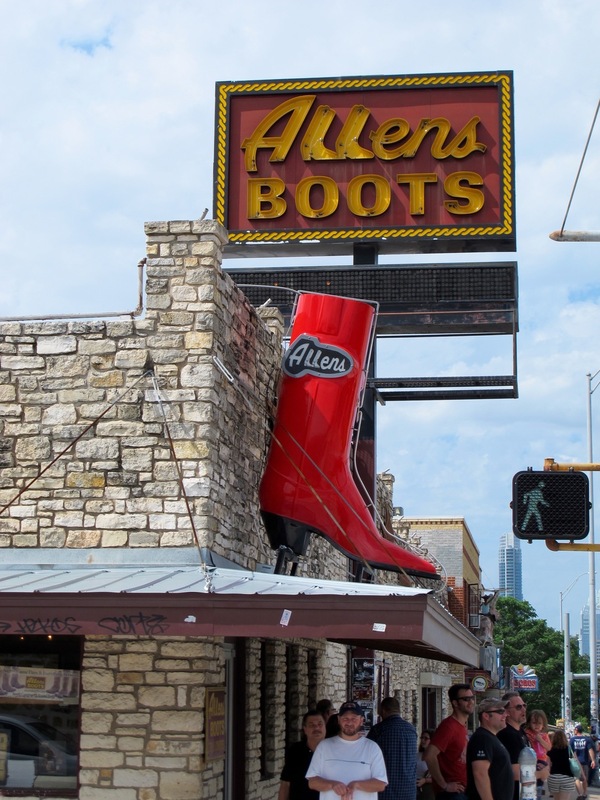 If you want boots, Allen Boots is THE place. Sweets? Check out Big Top. There are great antique shops that seem part museum with some unique collectibles on display for purchase at places like Uncommon Objects. Browsing or buying, SoCo is a fun stop. 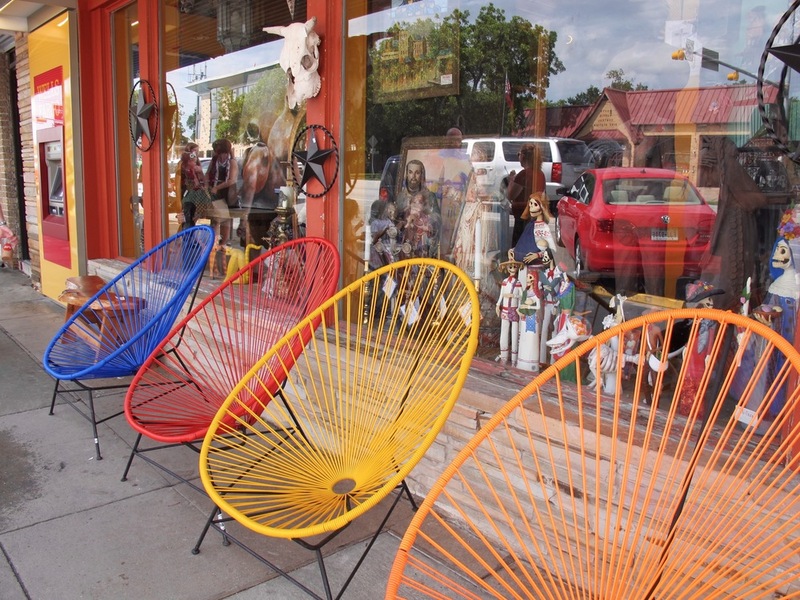 SoCo offers great shopping, but there's more boutiques scattered across town, especially along 2nd St. You'll see some familiar names, but also some unique places to tuck in. After a day in the racks, grab a drink or bite at one of the open air restaurants or bars in this upscale area. 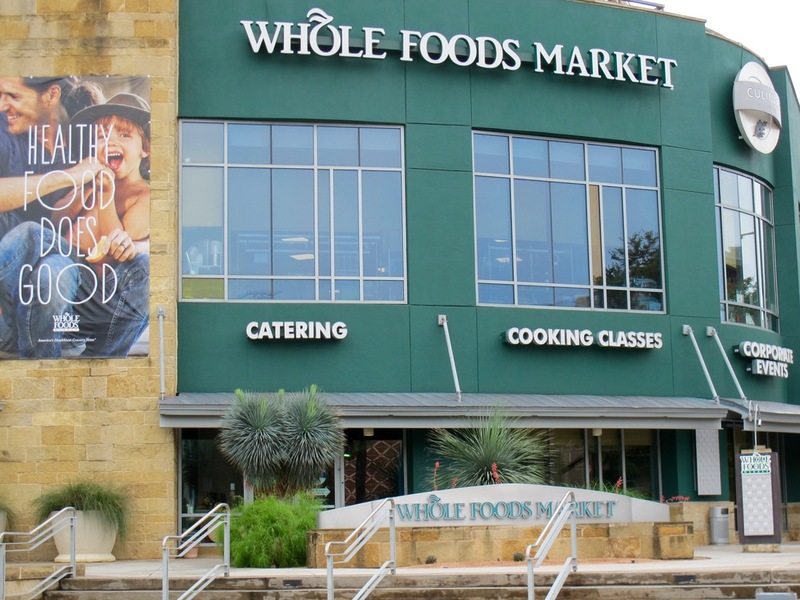 I do happen to be a Whole Foods fan, and the friend I was visiting works at Whole Foods headquarters in Austin. So you can probably imagine how great their mothership store is, and if not, here are a few photos. 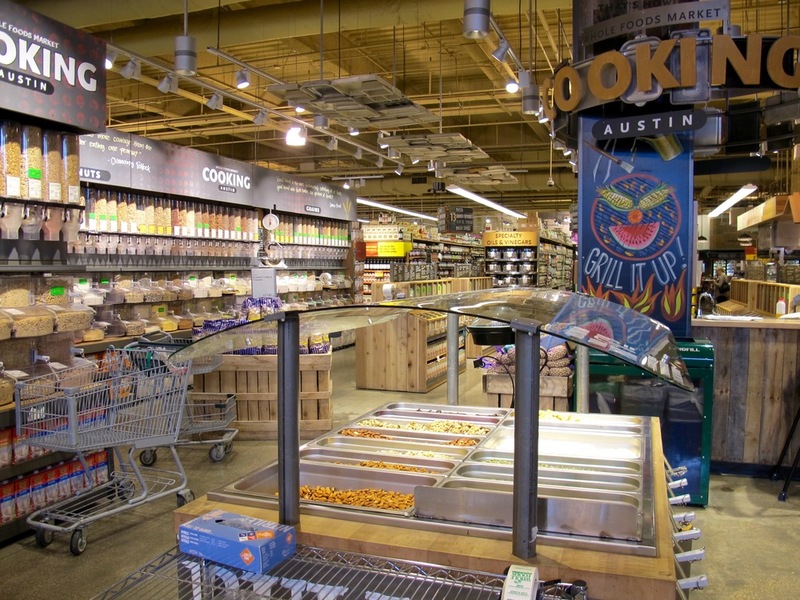 The Austin Whole Foods is one of the most visited attractions in the city and with good reason. 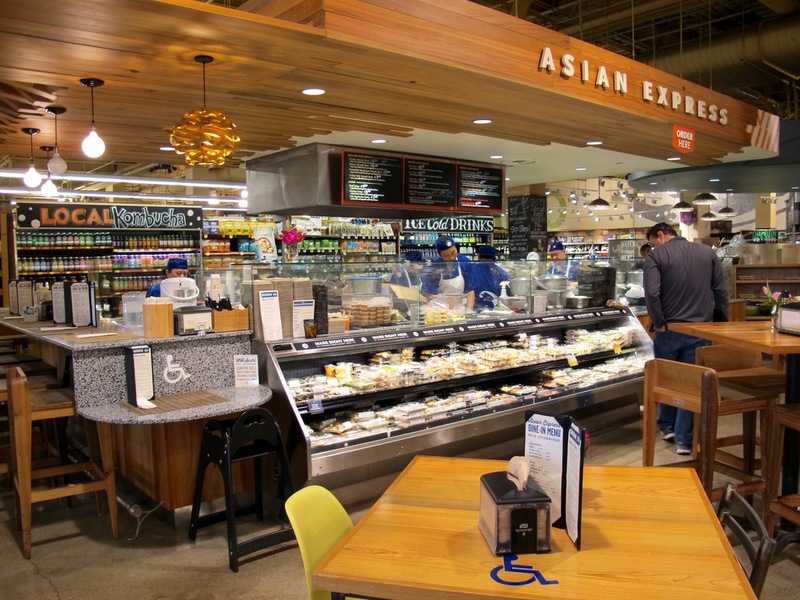 It's 80,000 square feet of fabulous food. You can pick your own fish to clean, cook or have grilled for you. Enjoy it at the wine bar that goes off during happy hour. The salad bars go on and on, and the options of places to eat rivals the best food court sans the gloppy Panda Express. 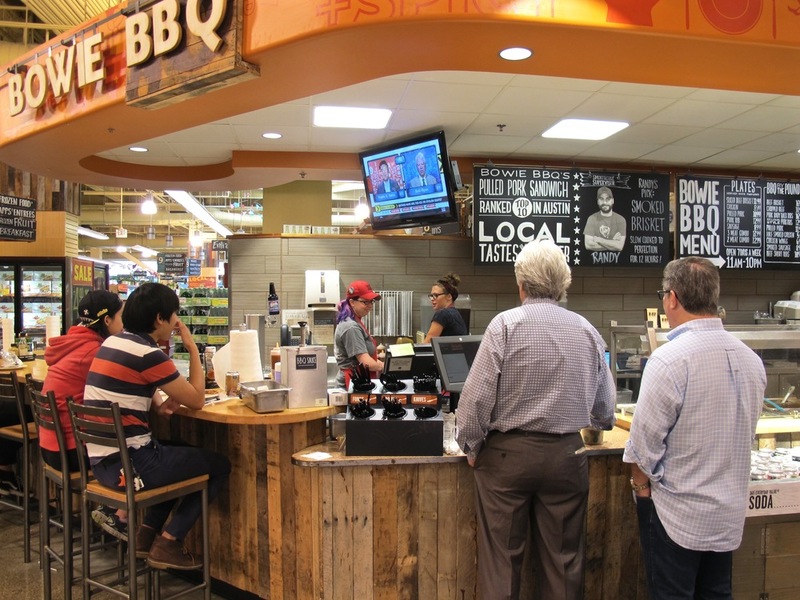 They even have a Sip and Shop program where you can have a glass of wine or beer while you get your groceries. Glass holders are conveniently placed at the end of aisles. Genuis. You didn't think I'd just slip in a sentence or two on Austin food trucks did you? Oh no. Austin's huge food truck scene has its own dedicated post here. Sooo many places to drink in Austin. While the cocktail culture may be huge in many other parts of the world, not so much in Austin. They like their beer and I have to say, I like their beer too. It's easy drinking and goes with many things. 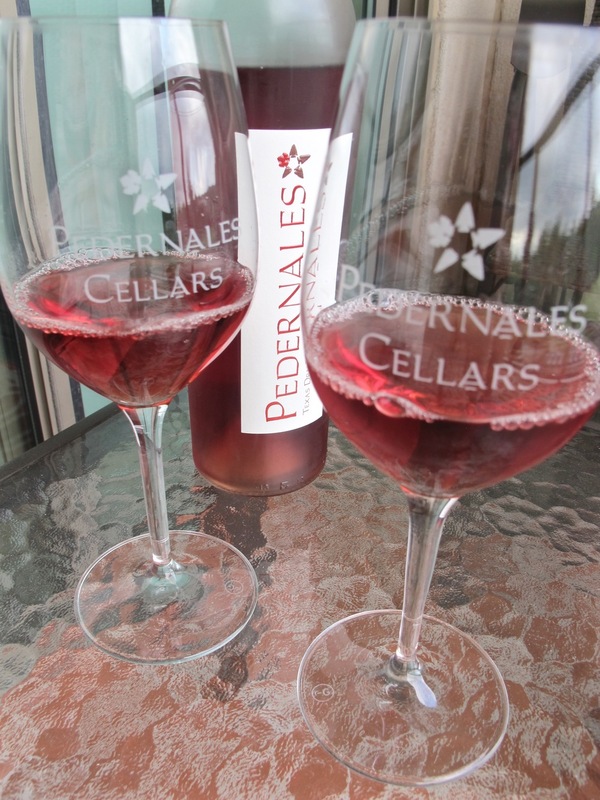 They are even producing wine in Texas, which isn't half bad. Their Rose was a little heavier, but still refreshing and nice for a summer day. If you want to go big, you're drinking on 6th Street. 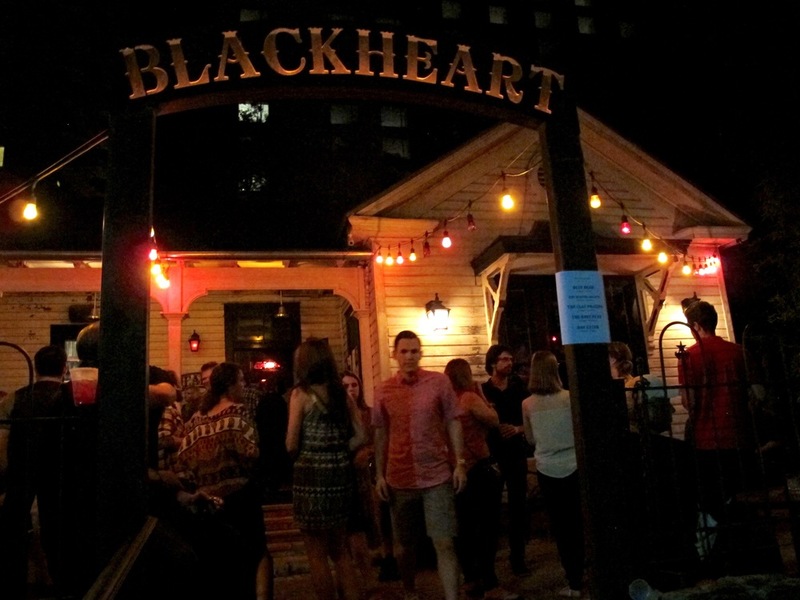 This mini-Bourbon Street is closed to traffic and chock 'o block with wall to wall bars, playing music and over-serving anyone with a good enough ID. 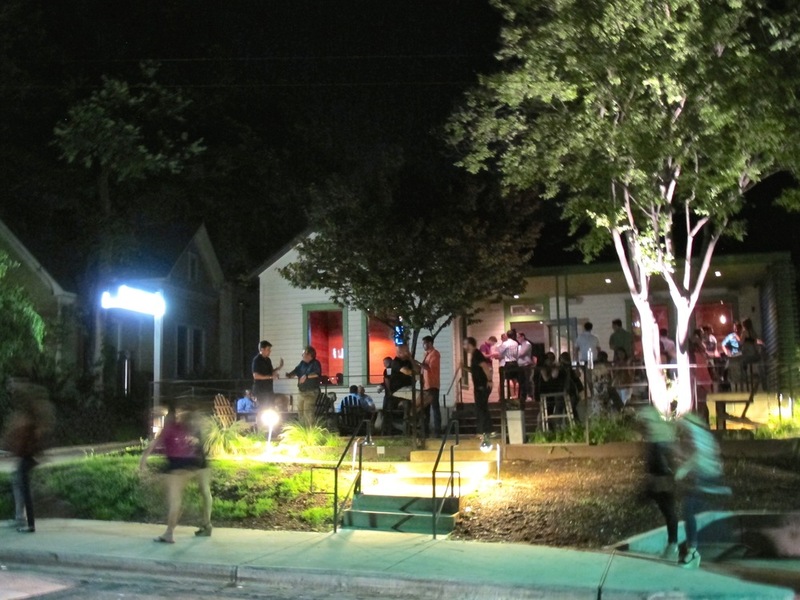 Gainey Street is a newer area for imbibing in Austin. A once sleepy neighborhood has converted old bungalows into bars with big porches, yards and lounges to take in a drink. Half Step does in fact offer a nice selection of cocktails with really long, custom ice cubes that are designed to slowly melt as you consume your drink. Can't say we experienced much melting, but nice idea nonetheless. Now that you've got my Austin Top 10 list on how to see the city in 72 hours, it's time to dive into the food scene, starting with the food trucks.